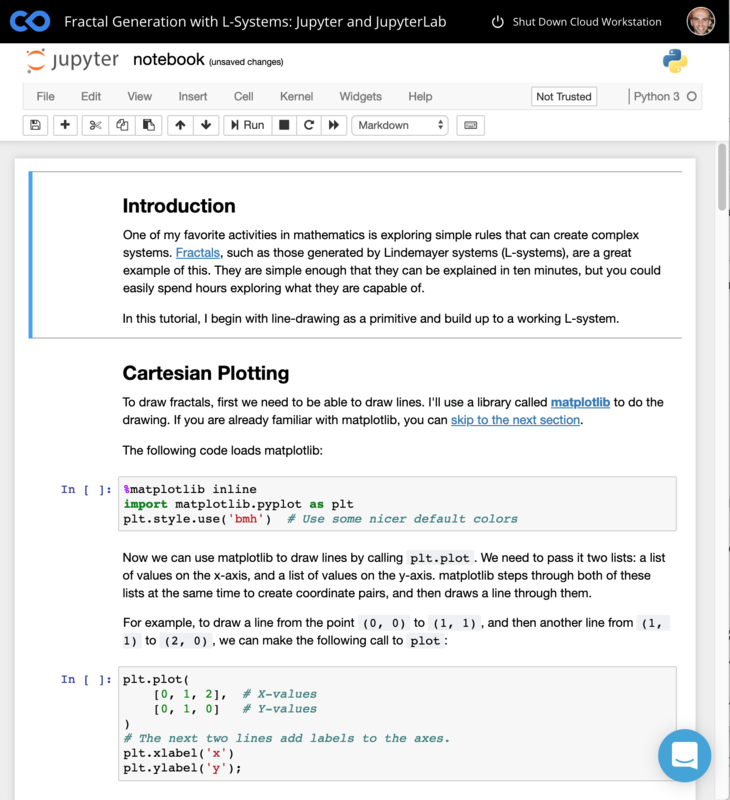 If your project contains a Jupyter notebook, there are two ways to run it. The first is to use the jupyter nbconvert command in a shell script, rendering it to HTML. 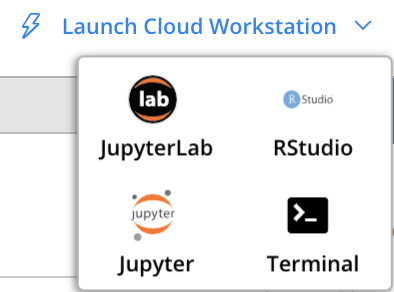 The second is to run Jupyter interactively by launching a Jupyter Cloud Workstation environment in a separate tab. This will automatically launch the typical Jupyter notebook interface. Note: If you don't have pip or conda installers available, click the 'Environment' icon to access your environment configuration screen add python3-pip and python3-setuptools via apt-get, and then add jupyter via the pip3 installer that pops up.